*There is hair all over. The North Face Men's The Narrows Pant looks equally at home at the city or one of Zion's beautiful hikes. 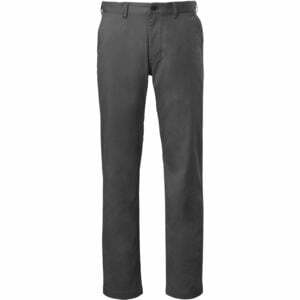 This pant features a breathable cotton blended with environmentally friendly, stretchy, and quick-drying Sorona Triexta yarns. The Narrows Pant comes in a clean and casual style so you can wear it to work as well as on the trails.